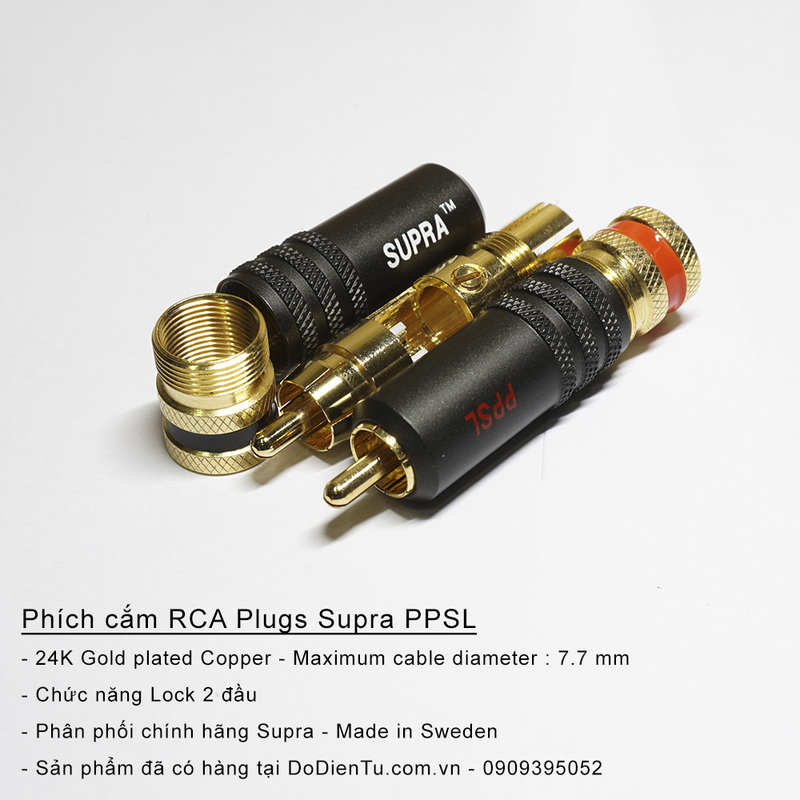 24K Gold plated RCA (Radio Corporation of America) contact with exceptional electrical and mechanical properties. Fully shielded, RFI proof, robust design providing for cables up to Ø7.7 mm. Mechanical cable strain relief as well as fixation to female chassis contact by means of chuck locking, an extraordinary efficient fixation and gentle to both cables and connectors. Features a one piece machined body, a soldering loop for 0 (minus) signal lead, also with screen drain wire, PTFE insulation for maximum heat resistance and an Aluminum metal jacket that is front mounted and also an active part of chuck locking system to the female chassis RCA. This is our top-of-the-line RCA contact available separately. One pair per package, i.e. one red and one white.